I thought I’d stick with the alliteration theme for February’s Lust List and so here’s a quick and pretty bunch of fabulous floral things from my fantasy wishlist. Inspirational feminist artist Jess De Wahls is selling lots of her hand embroidery on Etsy and the beautiful FLOVARIES 2 is the thing that inspired this month’s floral theme. 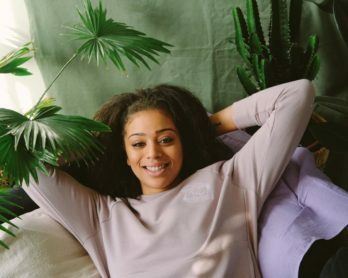 If you fancy learning hand embroidery yourself, Jess will also be running another one of her Big Swinging Ovaries embroidery workshops at Soho Theatre on Saturday 29th April. I can highly recommend them! I love pretty much everything that Joanie brings out, but this pyjama style shirt is one of my favourites from their latest collection. The matching wide legged trousers are amazing too, but I’d just look like I’d come out wearing my actual pyjamas if I wore them together (one for the tall girls only, I think!). When I came up with this theme, I did a quick Google search on floral prints to get inspiration and was not expecting something so lovely from M&S to pop up in the results. If I was a bomber jacket person, I’d be all over this like a shot. They have a matching skirt too, which is a perfect canvas for such a bold print. My favourite floral lingerie at the moment is the Holly silk soft bra and knickers from Ayten Gasson, made from a stunning Liberty of London 1920s inspired floral printed silk. It’s available in red and purple, with a couple of other items in each colour way. 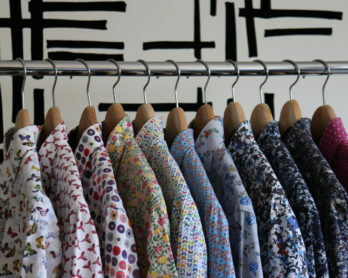 The purple print bed jacket is just divine and could be worn as outerwear once the weather gets warmer. I am really looking forward to the launch of ‘Lady Garden’, a new collection of Lou’s jewellery, cushions and scarves which will be arriving mid-March. 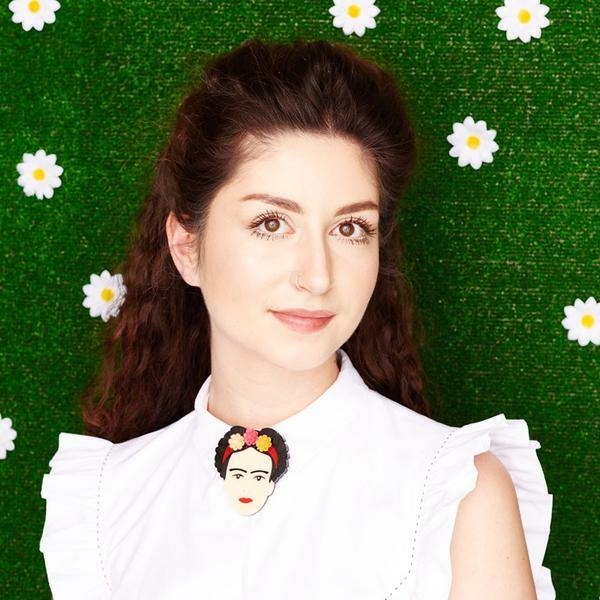 In the meantime, you can get your floral fix in style with her fantastic Frida Kahlo brooch.